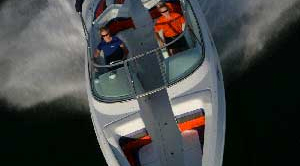 The Baja 247 Islander strikes the right balance between family runabout and performance boat. 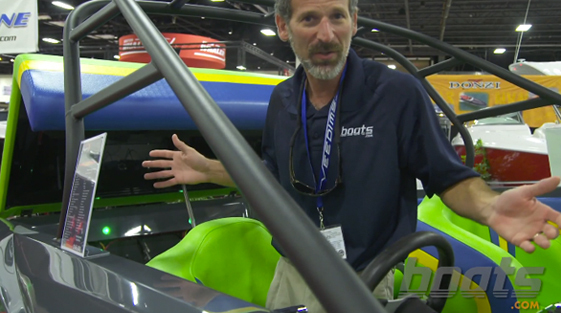 What’s good about Baja boats now is what always has been good about Baja boats, even though they've made some significant changes lately (read Baja Kicks Off Outboard Powered Sportboat Line). They’re a solid value, well built with just enough function and family friendly features for mom, yet just enough flair and performance for dad. No gold chains required, either. Is the Baja 247 Islander a family boat, or a performance machine? Yes. The 247 Islander is a perfect example of such a balance. With a huge selection of graphics options, the 247 can be outfitted to look almost any part. 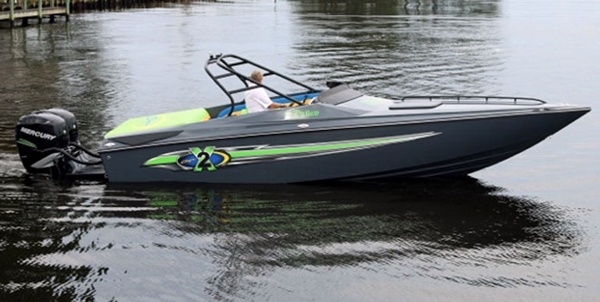 Baja offers half-wrap vinyl graphics for a reasonable up-charge of $857, but the three standard graphic elements look great and they're right at home on a go-fast boat. The optional paint is arguably the best-looking option, but buyers will have to decide for themselves if it’s worth $5,000. For our money, that $5k would be better spent elsewhere. 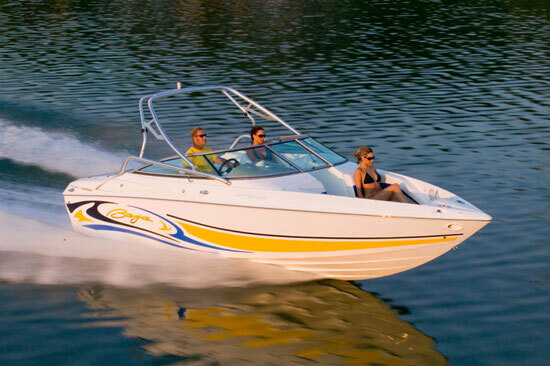 The 247 is available with optional hullside colors for $1,179, or with a tower for water sports for $3,617. You also can get a transom shower system for $727. But the best part is that even if you spend nothing on optional equipment, you still get a nice performance-oriented runabout. For the base price of $90,979, the 247 Islander comes with a 320-horsepower MerCruiser small-block 377 with catalyzed exhaust. 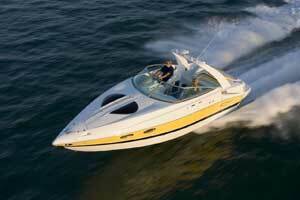 The boat weighs just 4,300 pounds, so the base engine is ample. The optional 8.2-liter engine costs some $12,000 more, but only gets you 60 more horsepower. Factor in the added weight of the big-block engine and it’s almost a wash. Stick with stock power. Standard equipment includes bow filler cushions and cockpit carpet. Those are optional on a lot of models, as are a portable head and a wind-blocking door between the cowls. Those two items can make your days on the water and your boating season longer, and they’re family-friendly features that get mom’s nod of approval. The 247 is fitted the Livorsi performance gauges set in stainless-steel dash panels. No tacky fake wood, thank you very much. Now for the fun part: the go-fast goodies. 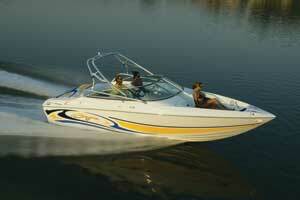 The 247 Islander comes with through-transom exhaust and Livorsi throttle and shift levers. 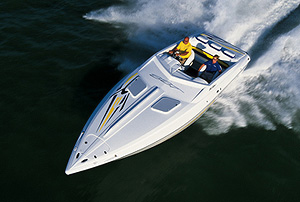 The exhaust is almost a prerequisite on a performance boat — got to have that noise — as are the separate throttle and shift levers. The Livorsi levers offer a greater measure of control over the boat at speed and around the docks, as do the standard trim tabs, which are handy in changing sea conditions. We also like the manual drop-down bolsters with grab rails for the rear passengers, the electric engine hatch, no-nonsense three spoke steering wheel, and six pull-up stainless-steel cleats. For more information, visit Baja.